93.9% of teachers in The Shadow Project say their students have increased overall confidence AND are more willing to persevere when faced with a difficult task. Hundreds of letters poured in this month from students telling us about their achievements in reading, writing, math and attendance. Congratulations on a fabulous year! Read more about student outcomes. 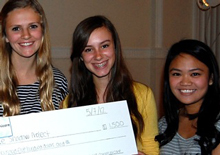 that brought together teen philanthropists and their 16 nonprofit beneficiaries, including The Shadow Project. The CommuniCARE program, now in its 15th year, provides high school students real-life experience in philanthropy. Clubs from three schools and the Girls, Inc. program selected local nonprofits and created their own fundraisers, with the Schnitzer Foundation matching their earnings many times over. The Shadow Project received $1,500 from the Lincoln Club, whose members had raised money through a candy bar sale. 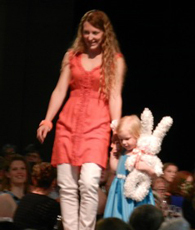 The McMinnville Education Foundation’s Fashion Show fundraiser held over Mother’s Day weekend featured grant recipients, including teachers modeling stunning outfits from Mes Amies. The Shadow Project was well represented by Grandhaven’s special education teacher Jolene Heinrich, who coordinates our program at four McMinnville elementary schools; Memorial’s Natalie Behrends, and Shadow executive director Christy Scattarella. Thank you McMinnville Education Foundation for helping our kids succeed in style! Kudos to our awesome Social Media Intern, Ellie Babcock, whose efforts have more than doubled our “Likes” on The Shadow Project’s Facebook and greatly increased our Twitter followers. Ellie, 17, of Sherwood, is finishing up her junior year at Riverdale High School. A member of the National Honor Society, Ellie is also on her school’s soccer, lacrosse and track teams. As someone with learning differences in her own family, Ellie is keenly aware of the need for greater understanding and information and does extensive research to locate articles that help build a community of support. More than a decade ago, when The Shadow Project was a tiny “mom’n’pup” volunteer effort operating out of a garage, Duniway PTA members donated books and school supplies. Today, Shadow has partnered with special education teachers to help over 6,000 children with special needs, and Duniway PTA has been there every step of the way. 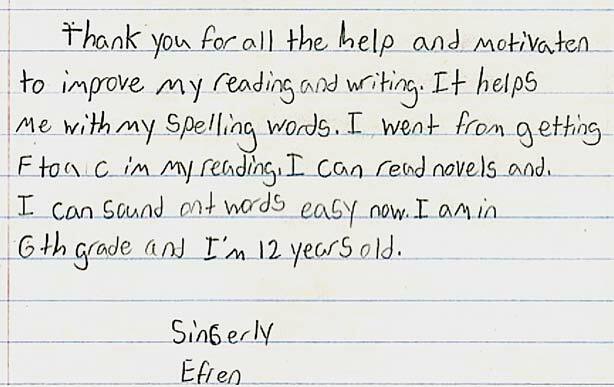 Thank you for your generous donation of $400 to support The Shadow Project at your school, and for continuing to champion our community’s capable, courageous students with learning differences. Follow us on or .